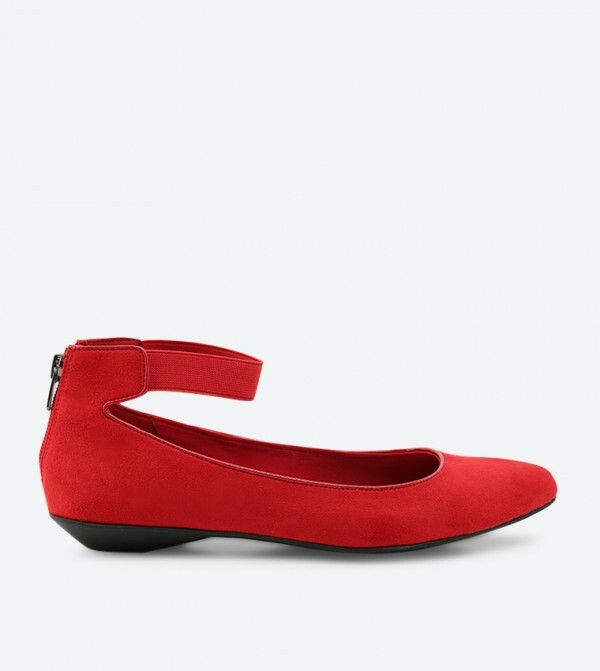 Create a new trend this season and inspire the rest as you step out wearing these red color belly shoes from Anne Klein. Showcasing an intricate round elasticated ankle cuffs that give off a retro feel and a back zip closure, these belly shoes are a cut above the rest. While the fabric material upper and synthetic lining of these slip-ons provides durability and breathability, the thermoplastic rubber sole of provides a good, sturdy grip.